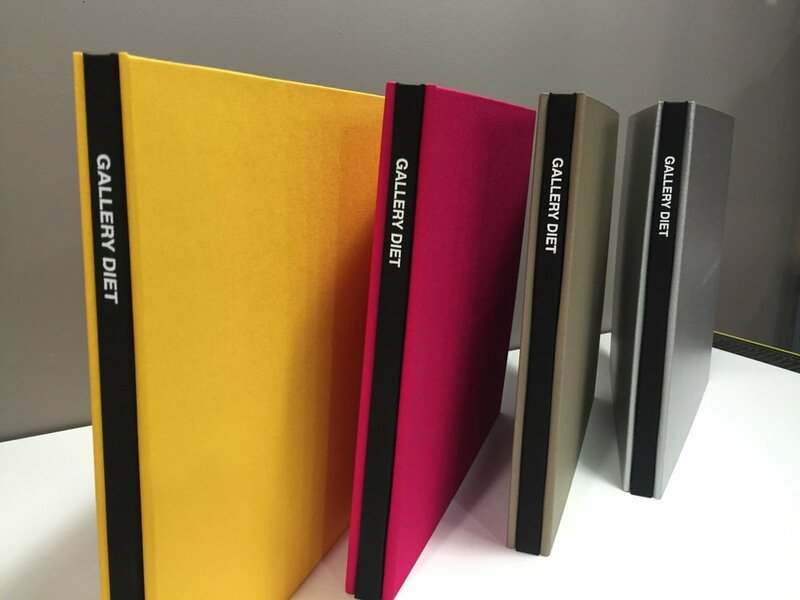 The Full Case Portfolio is also called the 1-Piece Portfolio because the front and back cover and the spine are built as one piece with an interior spine insert. The spine is built with a hidden screw post binding making it easy to add and remove images. This portfolio has the look of a traditional bound book. This streamlined style can be customized with a 2 fabric cover. All of our Full Case Portfolios can be customized with logo debossing. This portfolio is built in three separate pieces, front cover, back cover and separate spine. The spine is built with a hidden screw post binding making it easy to add and remove images. This style works great if you would like to add an accent spine color to your portfolio design. You can also order multiple spines and change out the spine color for a quick portfolio update! All of our 3-Piece Portfolios can be customized with logo debossing. This sleeve style box is the standard enclosure for both styles of our portfolio books. 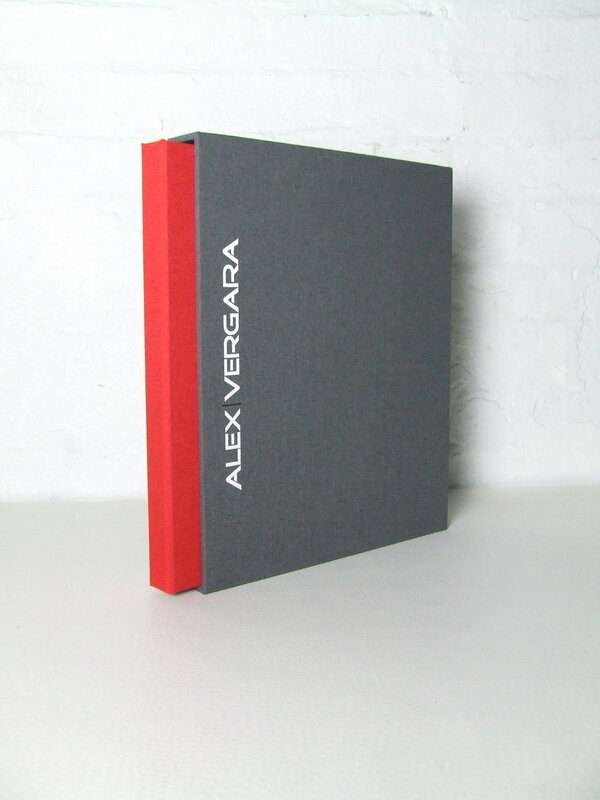 The Slipcase protects your portfolio from wear and tear while on the shelf and in transit. The simple design also makes for an elegant presentation. 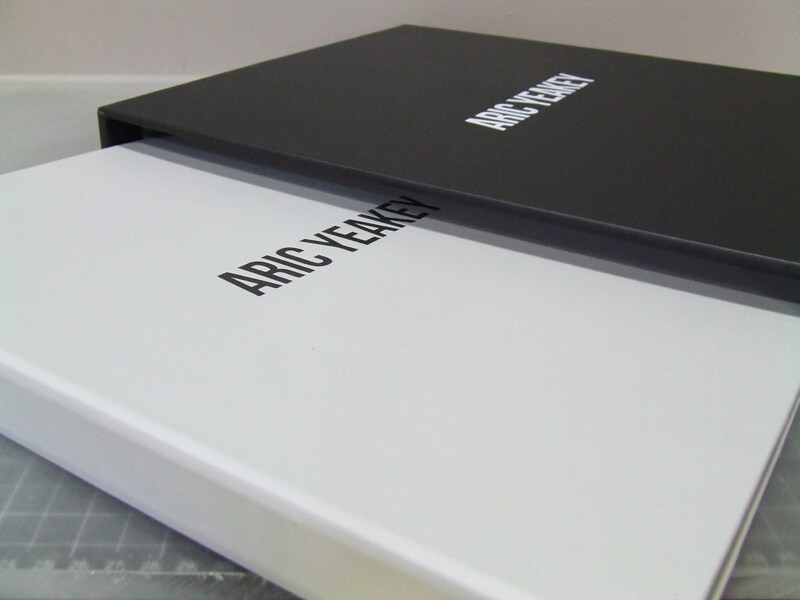 Simply slide your branded portfolio out of it’s custom slipcase for an eye-popping reveal. Custom slipcases can also be built for any book you present and/or protect. 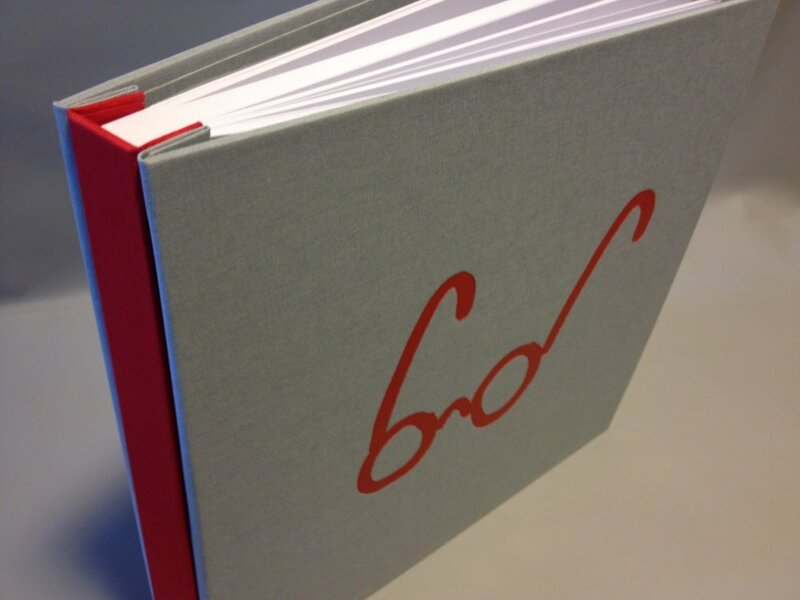 All of our Slipcases can be customized with logo debossing. The Clamshell box is a classic solution for storing and presenting archival prints. Resembling a clamshell in both form and function this box is built with an upper and lower tray, bound together with a connective spine. Prints live in the lower tray which is built with a cut-out for easy access. The interlocking clamshell trays provide safe storage reducing exposure to light and dust. This structure can also be used as a portfolio or book enclosure. All of our Clamshell boxes can be customized with logo debossing. The 2-piece clamshell resembles the classic clamshell without the connecting spine component. This presentation box is built with a separate upper and lower tray. The interlocking clamshell trays provide safe storage for archival prints reducing exposure to light and dust. Prints live in the lower tray which is built with a cut-out for easy access. All of our 2-Piece Clamshell boxes can be customized with logo debossing. This structure is also called a half clamshell. This lightweight clamshell box is built without an upper tray. A magnetic flap is built into the top lid to aid in closure. Your prints live in the lower tray which is built with a cut-out for easy access. We recommend this enclosure for portfolios and working prints. The lack of an upper tray increases the chance of exposure to dust and light. All of our Mag Flap Cases can be customized with logo debossing. Built with the look of a bound book this case opens to reveal a slipcase which houses your iPad or tablet. This case is built to house your ipad and a smart cover. All of our iPad Cases can be customized with logo debossing. For a smart presentation remove the iPad and use your branded iPad case cover as a presentation base for your iPad and smart cover. Built like the classic iPad Case this upgrade includes a magnetic flap on the top lid for a snappy enclosure. These translucent end sheets are a signature element at Mullenberg Designs. The double sided matte surface lends a custom finished look to your portfolio presentation while also protecting the first and last page from rubbing against the inside of the cover. We think it’s an add-on well worth it. The cost includes both front and back end sheets. We've put together FAQs and a helpful guide to build process. Call or email us if you have any questions and we’ll be happy to walk you through the process of a portfolio build-out.